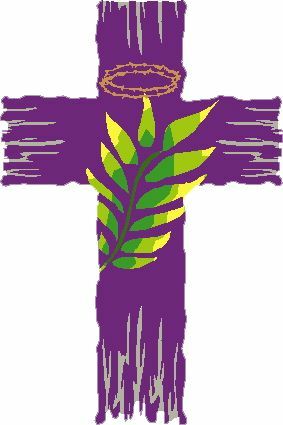 Tomorrow is Ash Wednesday which marks the beginning of the 40 day (not including Sundays) observance of Lent. This season, and its practices, can seem a bit disjointed or confusing. Some people fast, in one way or another, foregoing some normal vice, such as social media, sweets, or perhaps, swearing. Others may choose to take on a new endeavor like regular exercise, praying daily, or serving at a food bank. But on their own, these practices may feel more like New Year’s resolutions, than spiritual observances. So, what is the reason behind Lent, and its customs, and how might we make use of them today? And we know that in the New Testament Jesus himself spent time in fasting and prayer in the wilderness for 40 days (Matthew 4), and at other times. Is this the kind of fast I have chosen, only a day for people to humble themselves? Is it only for bowing one’s head like a reed and for lying in sackcloth and ashes? Is that what you call a fast, a day acceptable to the Lord? Historically, God’s people have incorporated into their lives spiritual practices meant to help them reflect on their own shortcoming, and seek God’s forgiveness and mercy. However, at times these practices have become a means for boasting or selfish pride. There were those in Jesus day who prayed loudly and publicly for all to hear. Others bragged about their own fasting, and became prideful because of their open display of faithfulness. As the early church began to spread after Jesus ascension, some of these spiritual practices were incorporated into the life of the Church. Lent developed as a season of teaching and instruction leading up to Easter. During Easter Vigil, the Saturday of Easter weekend, new members were often welcomed into the church after they had gone through the special season of preparation which may have included extra time in prayer, fasting, repentance, and other spiritual endeavors. Today, it would do us well to see Lent as more than just a hodgepodge of ritual and tradition. It remains one of the most powerful seasons of the church year for understanding God’s plan of salvation. During Lent we repent of sin, recognizing our need for salvation. As we enter into Holy Week we see again all that Jesus has done, as teacher, Lord, and ultimately, the savior willing to give his own life for his people. And on Easter we celebrate the victory over death that is the resurrection, Jesus’ greatest work. 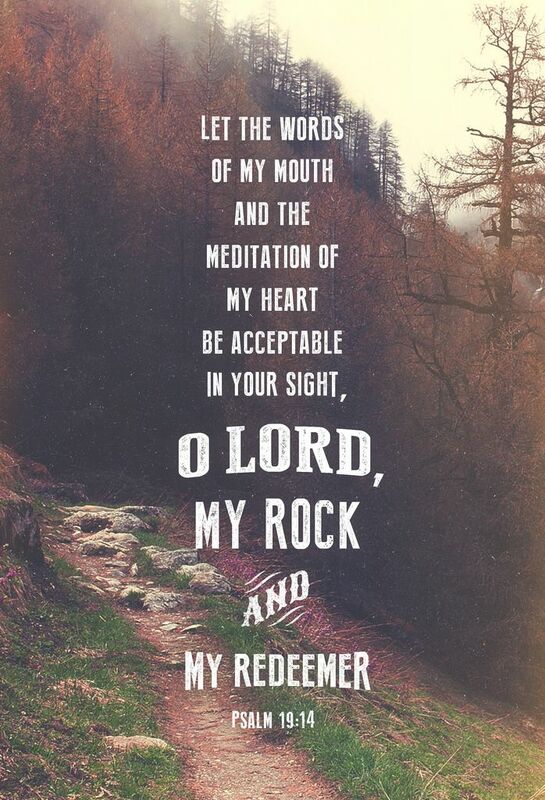 During this season we may engage in special practices – prayer, fasting, going without, etc. But these things serve no purpose if they stand alone (and certainly will not help us if they turn into sources of pride.) But doing something different during this season may be a tool to help you remember to connect with God, to be more aware of his grace and goodness, and to recognize how much we already have in our lives and the difference between needs and wants. As we enter the season of Lent I pray that you may find a deeper sense of connectedness to God, and a more profound understanding of the grace we find in Jesus. And finally, just for fun, I’ll also share this story which I have shared before, of 17th century German monks who created doppelbock beer to sustain them during their fast of Lent, and a guy in Iowa who recently decided to restore the practice. Want to know what it means to be a disciple? This is the perfect time of year to learn. The Greek word for “disciple” in the New Testament is mathetes (notice the root “math,” indicating thought accompanied by endeavor.) Mathetes indicates more than just a “student” or “learner.” A disciple is a “follower,” someone who adheres completely to the teachings of another, making them their own rule of life and conduct. The Pharisees prided themselves in being disciples of Moses (John 9:28). Jesus’ followers were called “disciples” long before they were ever called “Christians.” Their discipleship began with Jesus’ call and required them to learn and practice what it means to follow Him (Matthew 9:9). To learn about Jesus we look to the gospels. The four Gospels give us the definitive portrait of Jesus in his life on earth. They tells us about him, but also show us who he IS. We learn, we follow. In particular, John’s Gospel shows us three complementary perspectives on what it means to follow Jesus, each patterned after Jesus himself. Building off of John’s profile, we could say that a disciple of Jesus is a worshiper, a servant, and a witness. 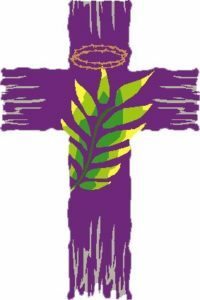 Ash Wednesday worship is March 1st at 7:30pm, and we will observe the historic practice of imposition of ashes, and examine our own lives as we enter the 40 day preparation for Easter. In our Sunday Bible Study during Lent we will explore the moral code of the People of Israel, to see how their lives as citizens and worshipers might be similar (and different) to our own. Holy Week is a wonderful opportunity to worship and experience the whole story of what Jesus has done for us. Maundy Thursday focuses on the Meal, Good Friday on the Cross, and Easter morning the great celebration of Victory over Death. We live in community with one another, and the local church provides a chance to learn with one another. We hold each other up, in good times and bad. We pray for one another seeking the best for others always. We organize for the good of those around us. During the month of March we will be collecting clothing (especially children’s clothing) to donate to the InterFaith Clothing Center in Rockville. Our Men’s Group and Women of Calvary regularly organize events to serve within the community. We partner with a number of other ministries, and host various activities in our building as a service to others. We also live lives of service as we are sent out, as Isaiah 58 tells us, “Is not this the kind of fasting I have chosen [for my people]: to loose the chains of injustice and untie the cords of the yoke, to set the oppressed free and break every yoke? One of my goals over the coming months is to invite in several guest preachers and speakers to help present God’s word and work from various perspectives. Keep an eye out for special guests to come. In our day to day lives we are all sent into the world to bear witness. We are called to be people of light in a dark world. To live and love as representatives of the one who has first loved us. On occasion the Spirit may lead us to share more directly the good news with those around us, as we find those who may be in need, who may be hurting, who may need words of hope. The gospel continues to spread. Disciples continue to follow the savior and live out his call. Join me during the season of Lent as we worship, serve, and witness as disciples.